Let It Go, the fourth international solo release from former Paul Colman Trio (PC3) frontman Paul Colman, represents the artist's deepest expression of Christian devotion yet. It's a statement of profound surrender to God's leading and a celebration of reliance on His provision. After touring widely in the United States, Europe and Australia last year, Let It Go is Colman's first solo effort in seven years. The charismatic performer created Let It Go after experiencing an extraordinary year of soul searching. "This record is about letting go of the siren of fame and coming home to what really counts. For me, that's family. I had to let everything, including the music, come from that," the husband and father of two daughters explains. In early 2004, taking stock of thoughts stirring his heart, Colman announced plans to pursue a solo career. For five years preceding the decision, his namesake power pop/rock band had released four albums (two of them stateside with Essential Records) and two live projects. Paul Colman Trio, which had gathered accolades including a 2003 Grammy nomination, two Dove Awards and its own headlining tour, was folding. "That season was simply over for me," Colman explains, though speaking highly of his former bandmates. "I just wanted to do something different. I wanted flexibility because there is much more to me than being the singer of a band." The decision meant Colman would return to his roots as a solo act in Australia. Prior to his heading Paul Colman Trio, Colman toured in Australia and released three independent albums. "I love the freedom that comes with being a solo artist," he says. "It allows me to turn up with an acoustic guitar or a band, or to write a book or do a play." Committed to seeking label support for his solo efforts, Paul's self-described ability to "make things happen" drove him to hire a publicist and canvass the scene at Gospel Music Week 2004. 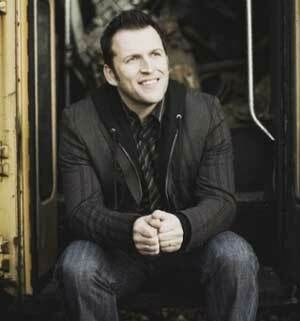 On the conference's last day, just hours before the Dove Awards, Colman felt unsettled. He gave away his ticket to the evening's ceremonies and called his wife. "I'm coming home," he said. "When I took stock of everything I had been doing, I looked at all the doors I'd been through and couldn't determine which ones I'd broken down and which ones God had opened. I just didn't know," Colman shares. "I felt like the Lord was saying, 'Let it go. Be who you are in Me. Stop trying to be driven, controlling and fearful. Let your life go in My hands.' I discovered I needed to slow down and listen for God's directive voice instead of my own." Colman continues, "I felt like God was saying to me, 'Go back to your family and you'll find the songs. I am where the songs are. Your family is where I am first in your life.'" Everything else-including his career-would follow from there. Colman drew into his family and his Creator, and there he found the inspiration for Let It Go. The singer/songwriter eventually signed with Inpop Records, which tapped producers Ed Cash (Bebo Norman, Bethany Dillon) and Vince Emmett (Rebecca St. James) to help nurture Colman's new vision. Sonically, Let It Go is reminiscent of Colman's band days with PC3. The new album combines elements of Colman's dynamic live show, as well as the intimacy only a solo performer could bring. Colman's song craft on the record was sharpened through a rich collaborative process with peers he calls "songwriting experts," including producer Cash, Randall Waller (Shania Twain), newsboys frontman Peter Furler, Reuben Morgan (Hillsongs) and Jason Ingram (Sonicflood's "Resonate"). The opportunity to co-write was part of relinquishing control, Colman says. "I was letting go of what I thought 'great' might be and opened up my life stories to other people." The album's cornerstone song, "I Owe It All," stems from Colman's transformational experience and celebrates Jesus' gift of grace. Others, like "Symphony of the Redeemed" and "Holding Onto You" celebrate God's grace and mercy. "Gloria," the record's first single, forms an image of God's good creation as outlined in Genesis. "I'm Coming Home" is a simple love song rejoicing in the godly gift of family. "When you're doing what you feel most passionate about, you're more connected to what you're doing and who you are at your core. That's what it was like when I started out in music, and I think the passion and connection is really there for me again," Colman says. "I think this is the record that best showcases who I am. It's much more connected because I got back to God."